At the Piatchek Law Firm, our attorneys regularly assist clients in the formation and operation of limited liability companies (LLCs). Although there are a myriad of business entities to choose from in Missouri, the limited liability company has quickly become the business entity of choice since it was first offered in the 1990s. It offers several advantages when compared to more traditional business structures, including simplicity in formation and operation and potential tax advantages. If you need assistance setting up your LLC, we can help. We offer a free consultation for LLC creation, whether by phone conference, internet conference, or at our offices in person. Give us a call at 417-882-5858 to get started. In addition, for those who are sure they want to form an LLC, we soon will offer an online LLC formation option. Finally, we can currently form your LLC by phone (often within 24 to 48 hours of speaking with you) if you are in need of quick services. Structuring new enterprises and reorganizing existing ones as limited liability companies is nothing new to us. In fact, LLC setup and business formation is something we do very often. 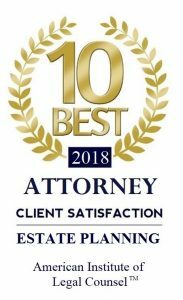 Clients choose us because of our familiarity with LLCs, and because we can offer them a high degree of personal attention at an affordable rate. Our lawyers and staff will work closely with you during the formation stage of your business, guiding you through the process and preparing and filing all the necessary documents to set up your LLC in compliance with Missouri law. Simplicity: LLCs have relaxed requirements regarding paperwork and documentation. In addition, LLCs are not required to file documentation with the state of Missouri each year in order to keep the LLC open, as is the case with a corporation. Flexibility: A limited liability company combines the best features of traditional small business structures, such as sole proprietorships and partnerships, with the ability to do everything a corporation can do (minus the tedious formalities). Liability Protection: For purposes of liability, the LLC acts much like a corporation. It can effectively separate your business assets and insulate your personal assets from the risks associated with doing business in today’s marketplace. LLCs allow you to enter into contracts under the business, rather than under your personal name. This helps protects your personal assets when dealing in business matters. Simple Taxation: Despite its corporation-like features, an LLC is typically taxed in the same way as a sole proprietorship or partnership. It allows profits and losses to be added to your personal tax returns, so that you don’t have to file separate individual and business tax returns. An LLC can also be taxed as a corporation, however, if that would yield the greatest benefit for you. This demonstrates the flexibility of an LLC. Ease-of-Use: Unlike corporations, LLCs are easy to manage and do not require much in the way of formalities. For example, while minutes are kept for meetings, there is no need for a board of directors, shareholder representatives, or officers in an LLC. In addition, one-member (one-owner) LLCs are allowed in Missouri, providing a great alternative to the traditional proprietorship (which does not provide separation or asset protection of your personal property). What Is the Difference Between LLCs and Other Business Entities? To learn more about the set-up and management of LLCs, please call the Piatchek Law Firm at 417-882-5858 to schedule a free business formation consultation. Click here to file your LLC now.